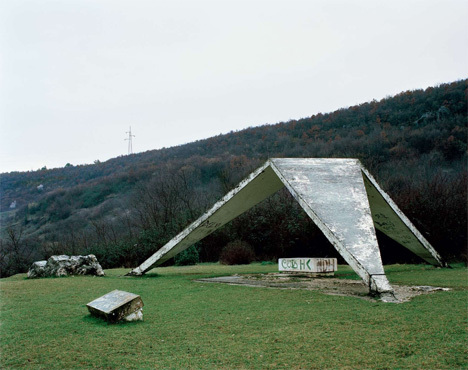 If you were to travel today through the area that was once Yugoslavia, you would come across some incredible massive objects that allow an unexpected look directly into the area’s past. 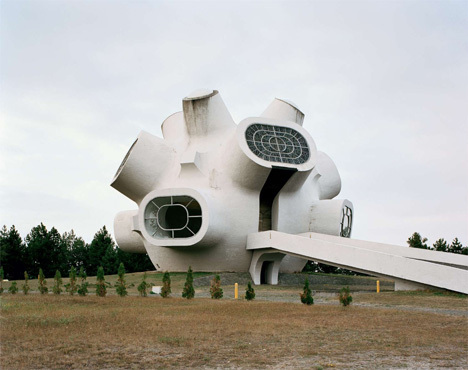 Before dissolving into several smaller countries in the 1990s, Yugoslavia became home to a number of large-scale futuristic monuments. 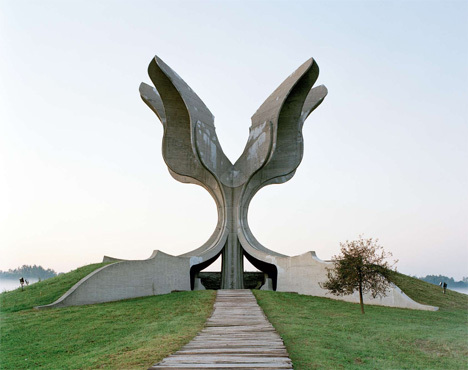 The monuments, scattered all throughout the former Yugoslavia, were erected in the 1960s and 1970s by then-Yugoslav president Josip Broz Tito. 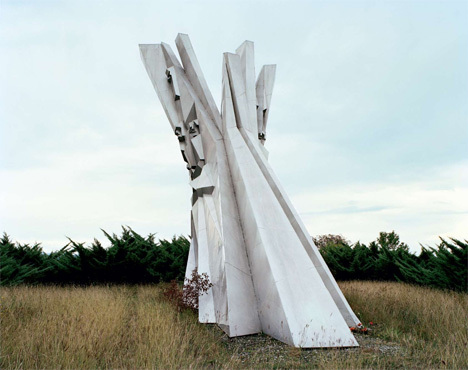 The Spomenik, which literally translates to “monuments,” are commemorative markers which immortalize WWII battle sites and locations of concentration camps. 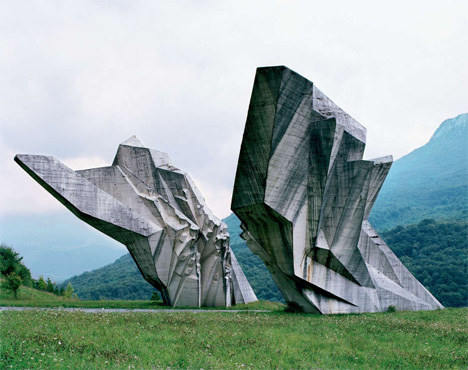 Although the events marked by the monuments were dark, the sculptures themselves are utterly fantastical and otherworldly in nature. 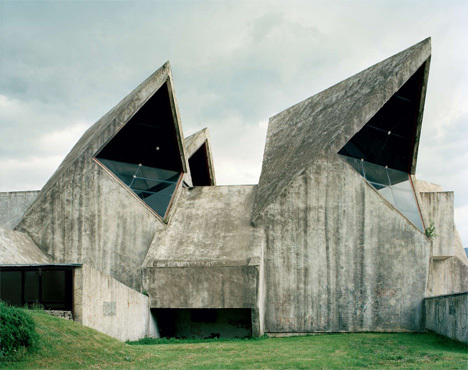 They were created by a number of different sculptors and architects, each piece imbued with a unique sense of cultural history. 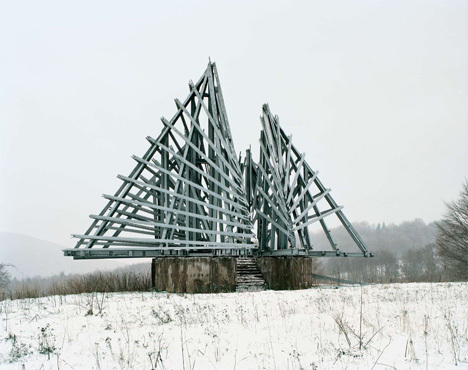 The highly abstract objects take many unexpected shapes, appearing to represent giant models of microbes, huge crystals, deconstructed architecture, even alien plant life. 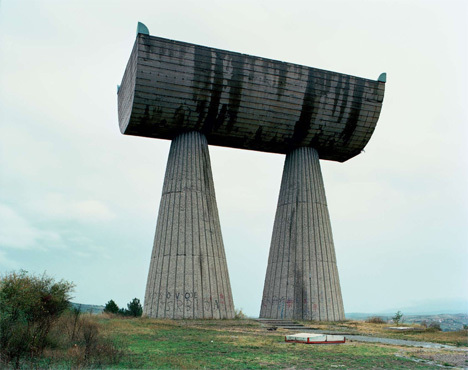 The gigantic, mostly concrete, shapes reflect what was then a very strong, proud country. 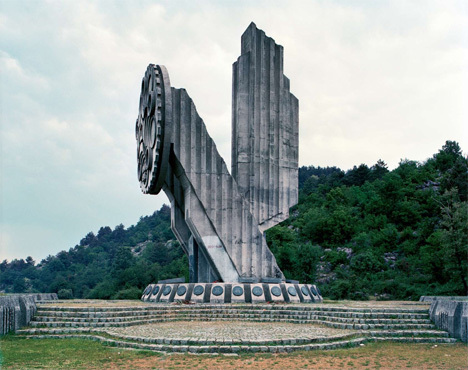 The form of each monument was selected for its symbolic meaning, having some sort of connection to the site on which it stands. 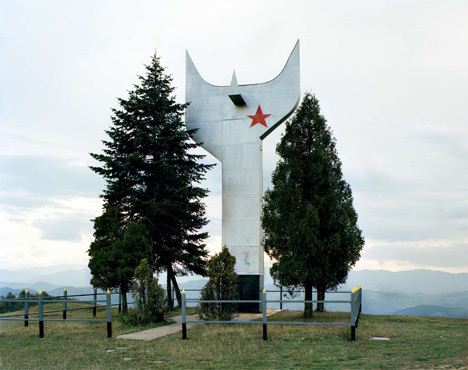 Throughout the 80s, the monuments were visited by millions of Yugoslavians, especially younger people who were pursuing their patriotic education. 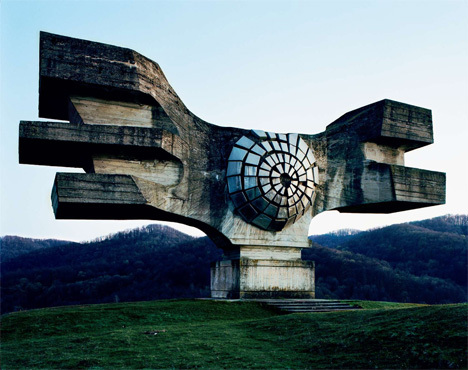 But when Yugoslavia dissolved, visits to the monuments dropped off almost entirely – and upkeep of the structures was abandoned. 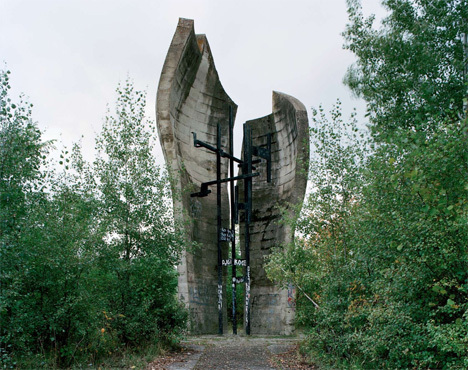 Since the early 1990s, the monuments have been completely neglected. 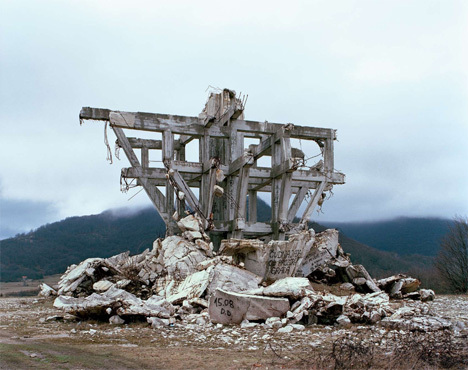 They sit there now, rising high above the surrounding trees and before majestic mountains, their historic origins becoming more obscured with every passing generation. 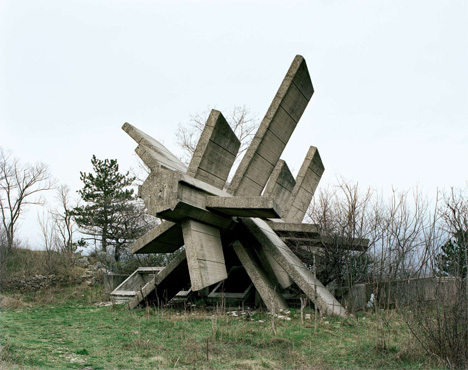 Many of the desolate structures are crumbling into inscrutable ruins. 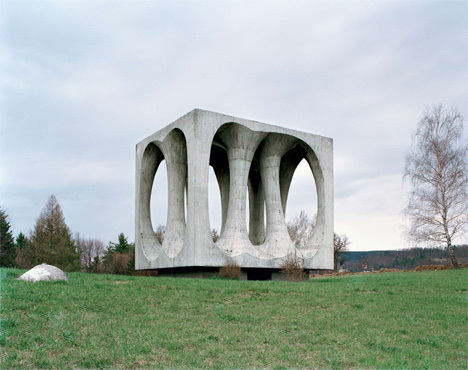 Will these mysterious objects become the Stonehenges of the 20th century? 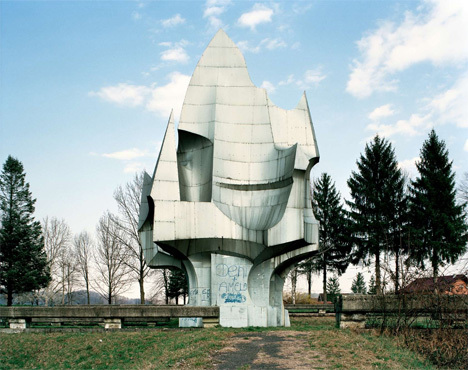 This series of Spomenik photos was created by Jan Kempenaers, a photographer who felt compelled to make the difficult journey through the Balkans to document the forgotten Yugoslavian giants. 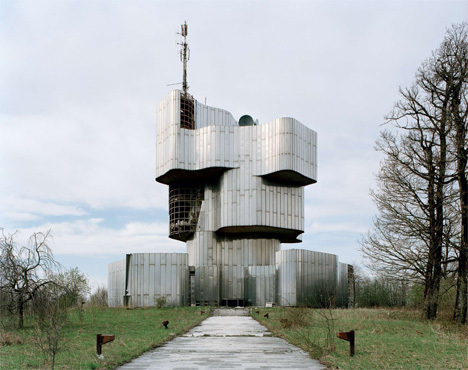 Using an old map of the monuments from 1975, he traveled to each of them in turn, capturing them in their current state of sad, melancholy glory. 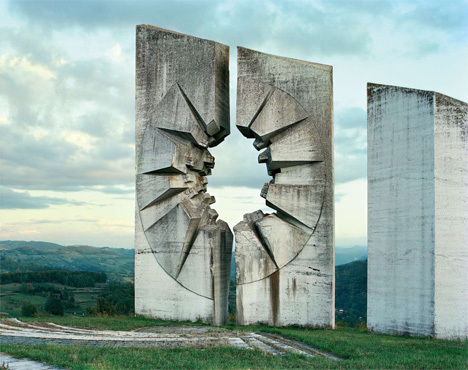 Though the monuments themselves – the sculptures, completely removed of their meaning – are still quite striking, it is hard to ignore the pain and suffering that they represent. 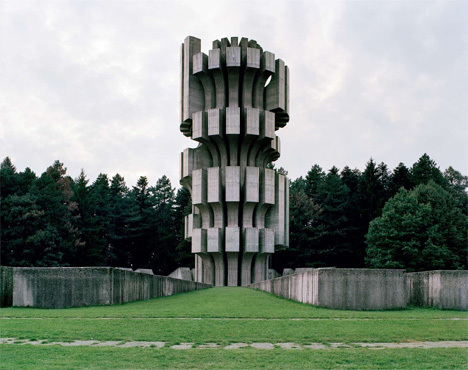 When they were erected, they were meant to bear witness to the atrocities that took place during WWII. 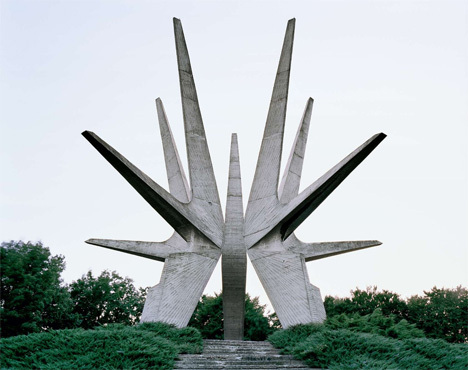 Today, their meaning is nearly lost to time and political upheaval. 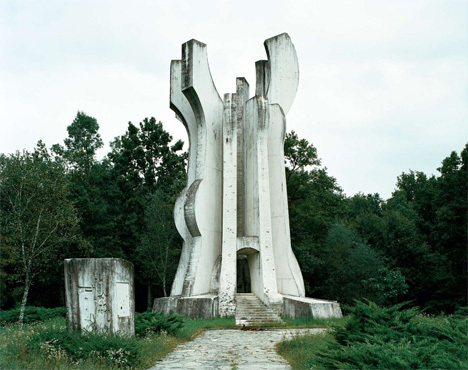 Many incorrectly believe the structures to have been Communist propaganda material, but in fact the monuments were meant as tributes to the anti-fascist uprisers and everyone else who died in the second world war. 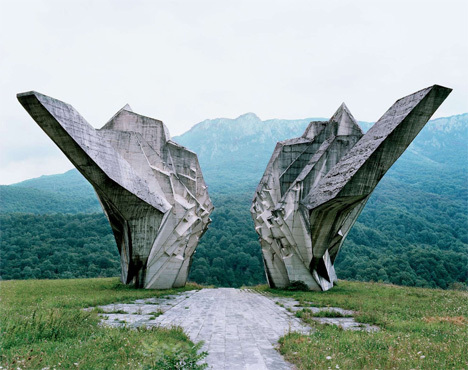 These lonely monoliths no longer immediately call to mind the approximately one million Yugoslavs killed in World War II. 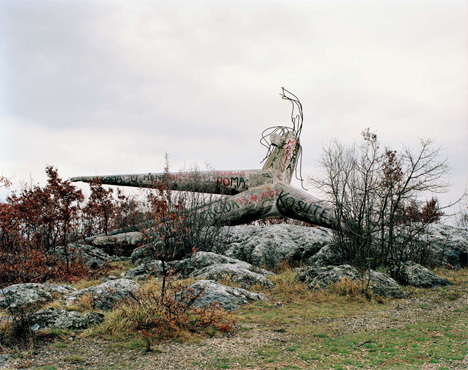 Over time, they have begun to look almost like natural parts of the landscape rather than the testament to human resilience and national pride they were meant to commemorate. 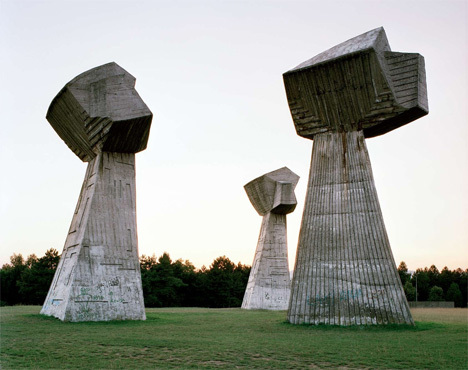 Insofar as it is possible to enjoy a work of art without knowing what it represents, stumbling across one of these monuments in the Balkans must be a truly awe-inspiring experience for foreign visitors. 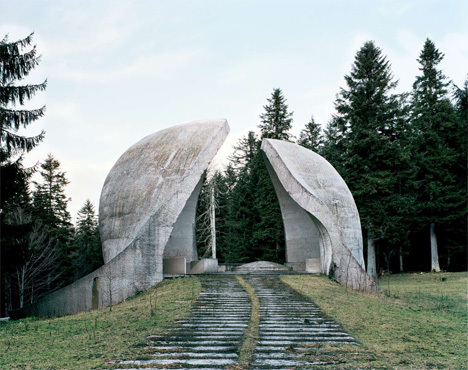 But we like to think that there are also some adventurous historians out there, still visiting the monuments to pay their respects to the fallen people they memorialize.